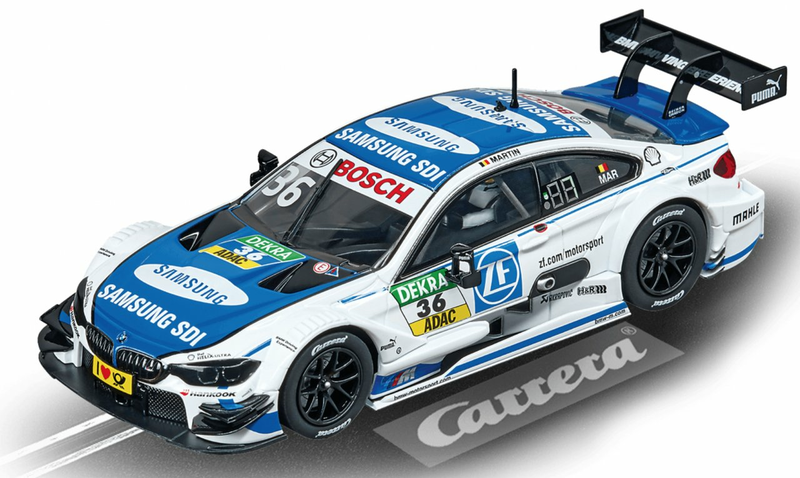 The new version of the BMW M4 DTM has everything a racing car needs on the way to victory. The innovative technology has boosted performance in comparison with the predecessor model. The simple design of the technical masterpiece in blue and white, the BMW M4 DTM driven by Maxime Martin, ensures attention isn't distracted from the essentials. Martin drove this car to a top 10 position overall in the 2017 DTM season. *Supplied with spare braids & a guide blade suitable for Scalextric track. NB. This product is not eligable for free shipping.